Preparation for the future is a necessity and enables you to control the distribution of your assets and estate. It is particularly important for those who have dependent children. 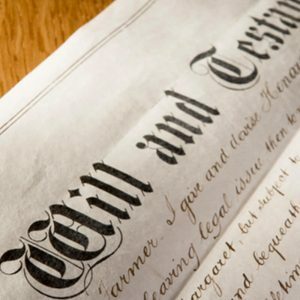 Without a Will, distribution of your estate can become complicated and it is already a difficult time for those who are dealing with the loss of a loved one. Our Solicitors guide our Clients through the process of preparing a Will ensuring that the Client is fully aware of all of their options in how their estate will be split upon their death. A Will can be prepared at any time, and even if one has been prepared previously, the most current Will takes precedence. It is necessary to review your Will especially if there has been a change in circumstances, including children being born, a separation or re-marriage, or simply a change in your capital and assets. We can provide advice and assistance in preparing a Lasting Power of Attorney for those who want to protect a loved one for a time when they cannot make a decision for themselves. This is a very sensitive time for those in this situation and we at TML Solicitors aim to make it a little easier for our Client’s. We can offer a flexible service depending on the needs of our Clients. We also offer advice in tax, trust and estate planning. TML Solicitors can assist you in preparing your Will. We can also act as an Executor in your Will and can store this for a one-off fee. It is always advisable to consider who the Executors will be in your Will and to inform them where this document has been stored as they will need to act in accordance with the Client’s wishes. We at TML Solicitors can assist any Executors with their duties by dealing with the probate. Not everyone will be aware of how to deal with the practical steps following the death of someone and therefore it is necessary to have a Solicitor to assist you. Our Solicitors are sensitive in dealing with these matters. We provide fixed fees for most circumstances whether for an individual or a couple seeking to prepare mirror Wills. For more complex matters, we offer competitive rates for excellent legal advice and service. Please contact us on 0116 247 0022 to discuss your needs and obtain a quote.